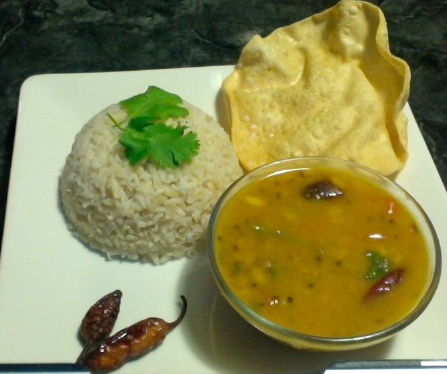 Green onion dal or Ulli kollu pappu is very tasty and flavorful. This is good for everyday cooking. 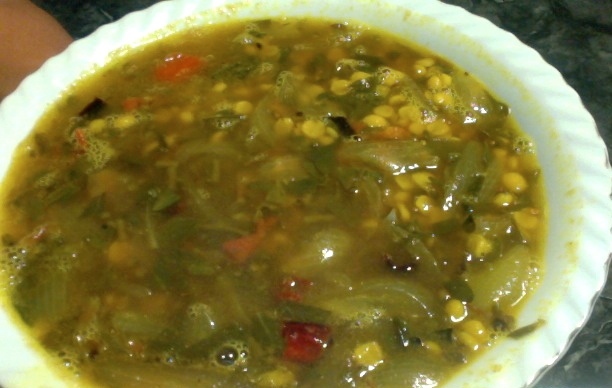 Wash toor dal and soak in fresh water for about 30 minutes. Cut the bulbs from green onions and put the bulbs in the soil or in the pot to become new plants. Then wash the green onions thoroughly and cut them into small pieces. 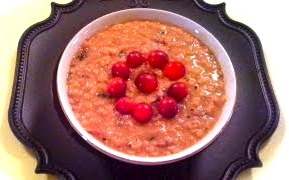 Cook toor dal in the pressure cooker or on stove top until the dal is cooked. 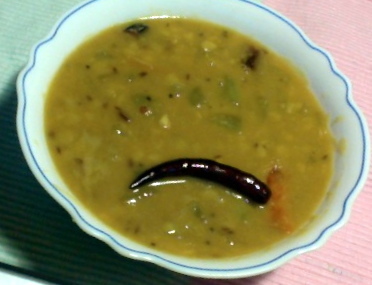 If you are using pressure cooker you may cook green onion and green chili along with dal. In a thick bottom skillet take ghee or oil and heat it up on medium heat. When the oil is hot add fenugreek seeds followed by mustard and cumin seeds. When the mustard seeds are spluttering add cut red chili. Keep stirring. Add hing/asafoetida and curry leaves. Add garlic and fry till they are turning light brown. Then add onion and fry for a minute. Then add cooked dal along with green onions. If you are cooking dal on stove top, fry green onions also with white onion and fry till they are soft. After adding dal to onions, add tamarind paste and salt. Mix it well and add 1/4 cup or more water to get your desired consistency. Let it cook on low flame about 5 minutes and turn off the flame. Add cilantro and serve it with whole grain brown rice or wheat chapati.